BRCW Lion, as it appeared in its white livery, it is here seen at Paddington 27th June 1962. Built at its Smethwick works in Birmingham a month earlier, but the demise if the company precluded all posibility of further orders. 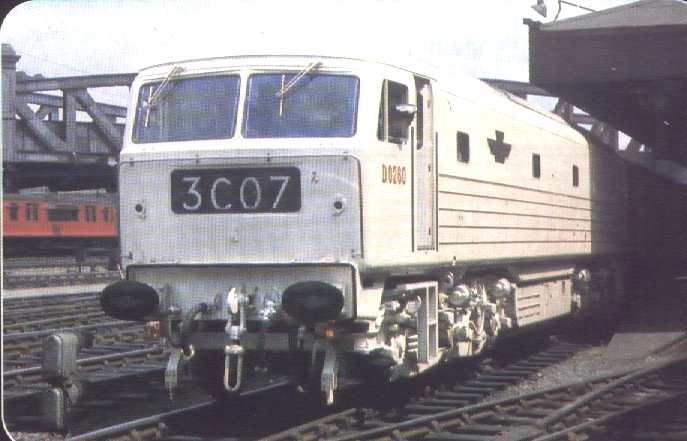 The loco's 2750hp Sulzer engine subsequently provided the power for the Brush Type 4 fleet.